Have a Paw Patrol fan in the family? If so you’ll want to get this Paw Patrol Ultimate Rescue Fire Truck on sale for $35.99 shipped (Retail $55.99). 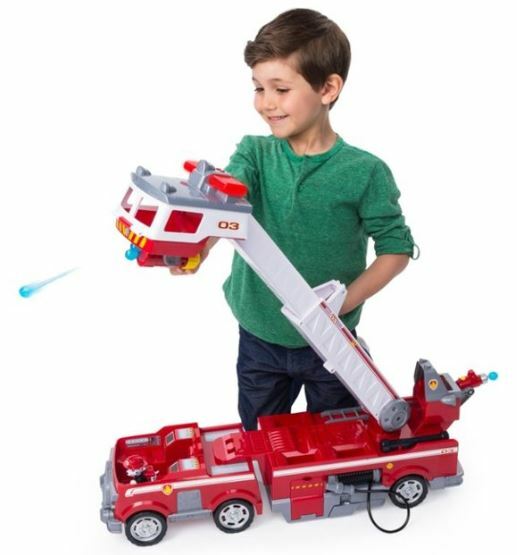 This Paw Patrol Ultimate Fire Truck features an extendable 2 foot tall ladder along with lights and sounds and a working claw for rescues! It also features water cannons and a mini fire cart!